Christmas isn't complete with Snoopy and the whole Peanuts gang. 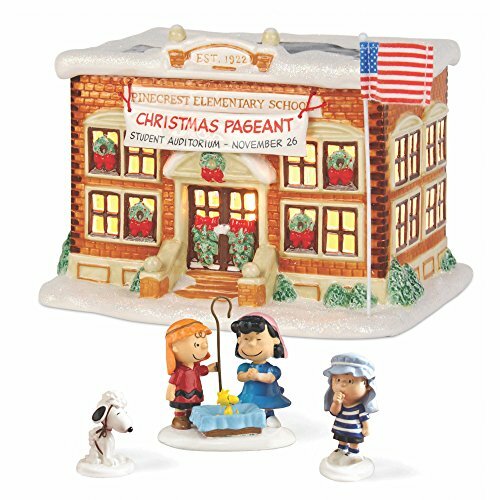 This set features the elementary school, where, under the direction of Charlie brown, the kids struggle to put on a holiday play. But after Linus reminds them about the true meaning of Christmas, our friends share a story that's become a Christmas classic. Set of 4 includes the school, Charlie brown and Lucy, with Woodstock in the manger, Linus and Snoopy.